There are 4 posts tagged Thirsty Camel (this is page 1 of 1). I’ve said before how grateful I am to Thirsty Camel on Lavender Hill for so tirelessly helping me with content for this blog. 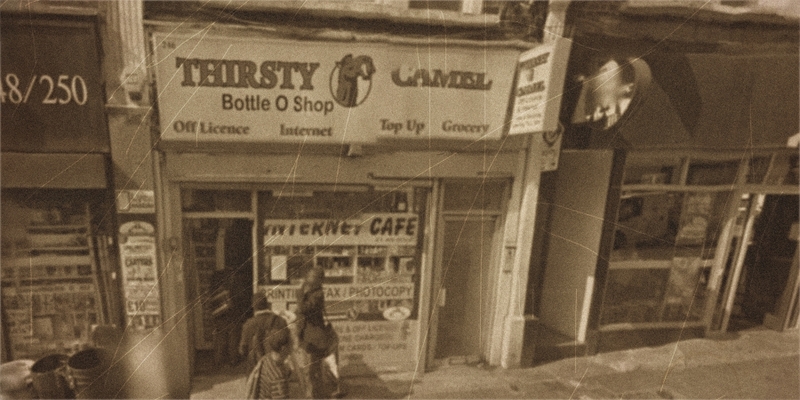 I’ve just found out that Thirsty Camel’s application for a new licence was rejected at last night’s licensing panel hearing. The current licensee had lost his licence after being found selling counterfeit and smuggled cigarettes but a new licence application was made by an associate, presumably so they could continue trading in exactly the same way as before. Despite my libertarian instincts, this is a good result: in trading illegal cigarettes (and previously selling to underage drinkers) the shop was competing unfairly with other retailers and putting customers at risk with products that were potentially harmful. I am incredibly grateful to Thirsty Camel on Lavender Hill. Best One on Lavender Hill, which trades as Thirsty Camel, has seen its shopkeeper lose his licence to sell alcohol.